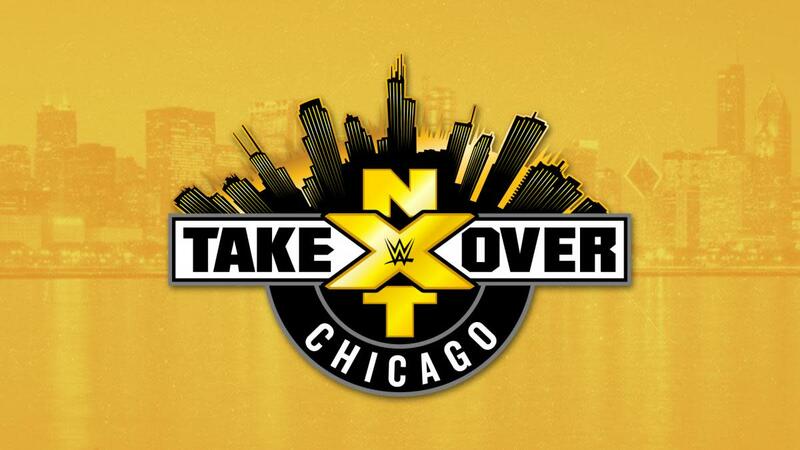 Welcome to this week&apos;s NXT TakeOver: Chicago "Open Thread" featuring streaming live results and your discussion from the Allstate Arena in Chicago. The show opens with a video package on Chicago, underdog stories, and tonight&apos;s matches. Tom Phillips, Percy Watson, and Nigel McGuinness welcome us to the show from commentary. 1) Roderick Strong def. Eric Young via backbreaker in 13:45. Prior to the bell, Strong took out Killian Dain and Alexander Wolfe at ringside. Sanity interfered many times, but Strong managed to overcome and pull off the win. A video package on the UK Championship airs. Jim Ross makes his way out to the commentary booth to call the match alongside Nigel. 2) UK Championship Match: Pete Dunne def. Tyler Bate (c) via pinfall in 15:28 to become the second-ever champion. This was a technical masterpiece. Dunne has one heck of a career ahead of him. Kudos to these two. A video package on the Women&apos;s Title picture airs. 3) NXT Women&apos;s Championship: Asuka (c) def. Ruby Riot & Nikki Cross via pinfall in 12:26 to retain. Asuka nailed Riot with a running kick to the head before pinning both women. Surprisingly, the NXT Title Match will be next. The video package airs before the entrances. 4) NXT Championship Match: Bobby Roode (c) def. Hideo Itami via two Glorious DDT&apos;s in 17:43 to retain. This was a physical bout bell to bell. We get the hype package on tonight&apos;s Ladder Match main event. 5) NXT Tag Team Championship Ladder Match: The Authors of Pain (c) def. #DIY in 20:09 when both Akam and Rezar climbed a ladder to retrieve the titles. Ciampa didn&apos;t appear hurt at all and had several great spots throughout. Everyone worked their tails off, even Ellering, who took a superkick from Gargano. Gargano and Ciampa eat up the standing ovation in the ring and then on the stage. Then Ciampa unexpectedly sends Gargano into the tron. He continues assaulting him until Ciampa jumps off the commentary table, sending Johnny through a table below the platform. Ciampa stands tall as medics take care of Johnny.